Those nails look great!! AND...less damage compared to the drilling they do at the nail salon! You know what has saved me a few times??? the fake TOEnails!! My toes are always beat up from wearing tennis shoes while working out (I'm NOT a huge fan of tennis shoes at all) and especially in the winter when I dont' get pedicures the fake toenails are a life saver when you have to go to an event that requires open-toed shoes for the event! I wore them the night I got engaged at the Marine Corps Ball and they worked great!! Nikikline- I have never worn fake toe nails so thanks for spreading the word. 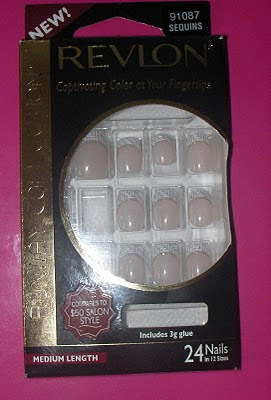 I do have the press on color for my toes but not an actual fake nail I would imagine it would be such a time saver! And congrats on the engagement. Those nails do look good. 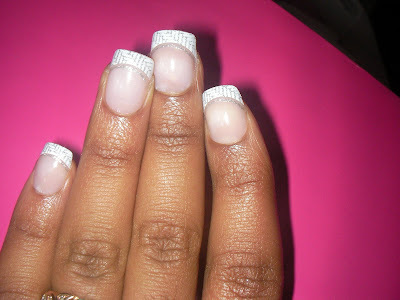 I used to wear fake nails all the time. Oh the memories. 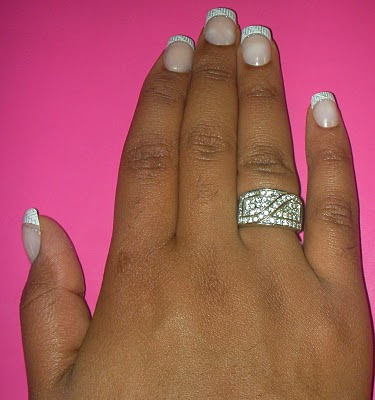 I used to wear acrylics but it became to time consuming and costly. This look fun and may even work. I think I'll try them out.